Want Inquisition? Skipped Dragon Age II? Don’t play it; watch it! Let’s face it: Dragon Age II was a disappointing sequel. Combat was repetitive and exhausting, with its waves of enemies magically spawning out of nowhere; and exploration was tedious, with most of the game taking place in a single city, and many of the game’s environments being recycled over and over again. Despite all that, the game does continue the Dragon Age story, and contains many important plot points that you will probably want to be familiar with in time for Dragon Age: Inquisition, the upcoming 3rd entry in the series. There are also recurring characters from Dragon Age: Origins in Dragon Age II, and characters from both games–such as Leliana and Cullen–will play significant roles in Inquisition. With that being the case, if you’re one of those people that never got around to playing (or, more likely, completing) Dragon Age II, you have a couple of options. I suppose you could just play through the game and see if you can manage to enjoy it, despite its weaknesses. I tried doing that; I really did. I gave it a good two or three hours before I came to the conclusion that I just didn’t want to play through the game’s combat and exploration. So if you’re like me, and you just can’t get through the game, you might want to consider another option. Try giving the video above a watch. Youtube user Hathur took the time to play through Dragon Age II, and then put the videos online with the vast majority of the combat and exploration edited out. The end result is a 17 hour Dragon Age II movie, spread across 31 Youtube videos, that covers pretty much all of the content in the game, including DLC. Granted, 17 hours is still a long time, but that still represents only a small fraction of the time it would take to play through the game in its entirety. Hathur chose to play as a female Mage version of Hawke, and used the charming and funny dialogue choices to define her personality. It just so happens that the decisions made by this player lined up fairly consistently with the choices I would have made, so it really worked out for me. If you’re interested in watching the whole series, here’s a link to the playlist. Your third choice would be to not play or watch Dragon Age II at all. Bioware has certainly put a lot of effort into making Dragon Age: Inquisition playable even to those that have never played a Dragon Age game before. But if you want a deeper involvement in the lore and history of Dragon Age, you should probably play through or watch through both games prior to digging in to Inquisition. No matter what you choose, if you’re planning on playing Dragon Age: Inquisition, you should definitely check out Dragon Age Keep. 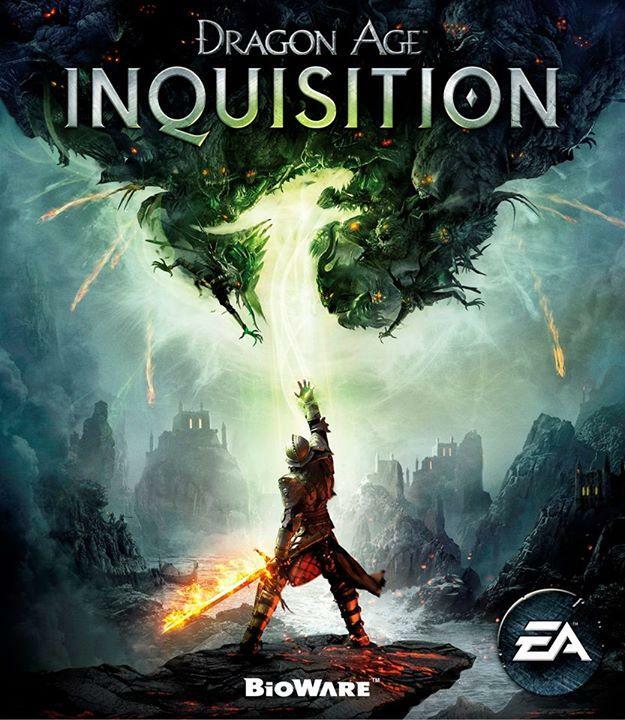 Bioware created this website to help players import their decisions from Dragon Age: Origins and Dragon Age II into Dragon Age: Inquisition. First it let’s you select from the save files associated with your Bioware Social Network account and applies the decisions found in those files to your own personal in-game history (it also imports your achievements). Then it plays a short movie that summarizes all of the events of both games, and occasionally prompts you with the opportunity to change your major plot decisions on the fly. Finally you get access to the Tapestry, a huge banner of art that represents quite literally every significant choice in both games. You can click on the artwork to see details about the choices that were made, and once again, you have an opportunity to make changes. If you want to change every decision you ever made, you can. If you want to make sure your existing choices are properly preserved, you can do that too. And if you want to invent a completely new set of choices so that you can check out how they effect Inquisition over multiple games, you have that ability. In my case, I used the Tapestry to make (mostly) the same choices that Hathur made in his Youtube series, and now, I’m ready for Inquisition! The Tapestry on Dragon Age Keep lets you adjust every choice from Dragon Age: Origins and Dragon Age II and import those decisions into Dragon Age: Inquisition. Dragon Age: Inquisition will be released in North America on November 18th for PlayStation 3, PlayStation 4, Xbox 360, Xbox One and PC.